Uber Freight, Uber Eats and other non-ridesharing lines of business are the bright spots in terms of growth for Uber Technologies, according to a Thursday filing with the Securities and Exchange Commission ahead of the company's upcoming initial public offering (IPO). Uber Freight posted $359 million in bookings in 2018, according to the filing, placing it roughly in the top 30 of Transport Topics 2018 Top Freight Brokerage Rankings. 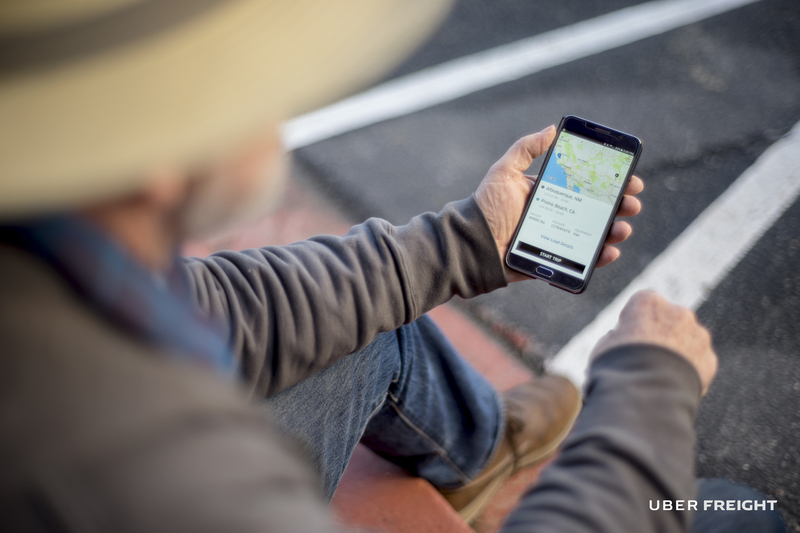 "Since Uber Freight’s public launch in the United States in May 2017, we have contracted with over 36,000 carriers that in aggregate have more than 400,000 drivers and have served over 1,000 shippers, including global enterprises such as Anheuser-Busch InBev, Niagara, Land O’Lakes, and Colgate-Palmolive. Uber Freight has grown to over $125 million in revenue for the quarter ended December 31, 2018," reads the filing. Though the filing doesn't break down Uber's "other bets" into the individual business lines when it comes to profitability, these faster-growing segments add buoyancy to the company's balance sheet even though their share of total Uber revenue is relatively small. "Other Bets revenue increased to $373 million in 2018 compared to $67 million in 2017. This increase was primarily related to the expansion of our Uber Freight offering," reads the filing. Revenue growth in Uber's core ride-sharing business is slowing down, and competition is threatening margins as the company lowers prices and adds incentives to win over riders. Uber Freight and the "other bets" also have high costs, but these are largely associated with continual technology improvements, the company said. The filing lays out what Uber sees as competition for its brokerage platform. It lists competitors as "global and North American freight brokers such as C.H. Robinson, Total Quality Logistics, XPO Logistics, Convoy, Echo Global Logistics, Coyote, Transfix, DHL, and NEXT Trucking." The company listed the most substantial risk factor to the Uber Freight business as a lack of carriers. The document paints a picture in line with what other practitioners in the digital freight brokerage space have told Supply Chain Dive. As long as these companies can recruit enough carriers, there is virtually endless freight to convert from traditional channels. In fact, Uber said in the filing it believes it has tapped into less than 0.1% of the potential market. Additionally, the company sees the major barriers to continued success in these segments as a lack of internal capacity for innovation. "Due to our significant growth, especially with respect to our high-growth emerging offerings like Uber Eats and Uber Freight, we face challenges in timely and appropriately designing controls in response to evolving risks of material misstatement," the filing reads.